TIS’ THE SEASON TO GET SWEATY! At Flykick one of our core values is fun. We want to slip into your lives just as easily as we’re caught slipping on the ice rink at Somerset House. So, in order to avoid being left out of all the festive fun that you’re having, we’re inviting you to join our party – have a look at our options and get in touch asap to book. Reserve bags for your teams or clients in one of our classes throughout the festive season for just £13.00 per guest. 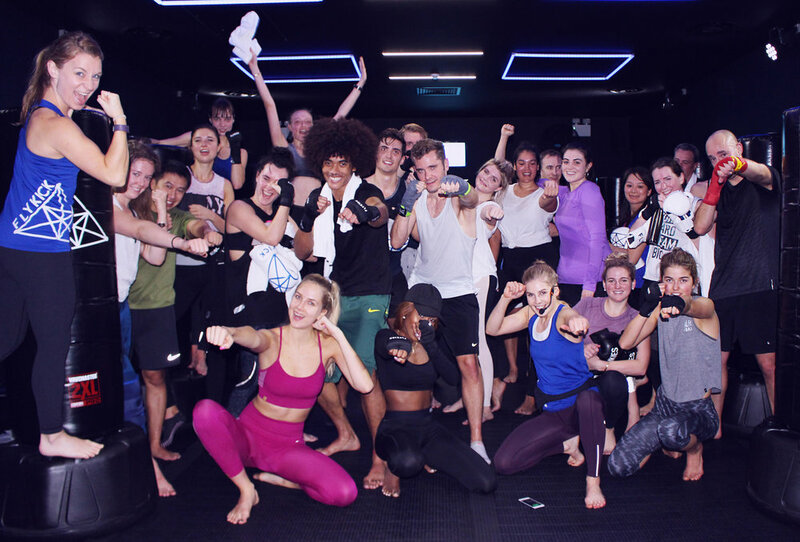 This includes rental gloves, wraps, all of our luxury amenities & facilities – plus the use of our awesome space after class exclusively for you to host your own cocktail reception. Get in touch with elyse@flykick.co.uk to book now! Stuck for ideas as Secret Santa comes around? We’ve got you covered, our gift cards can range from £10 to £100. So whether it’s big or small get your colleagues their Flykick fix between festivities or ready for the New Year. 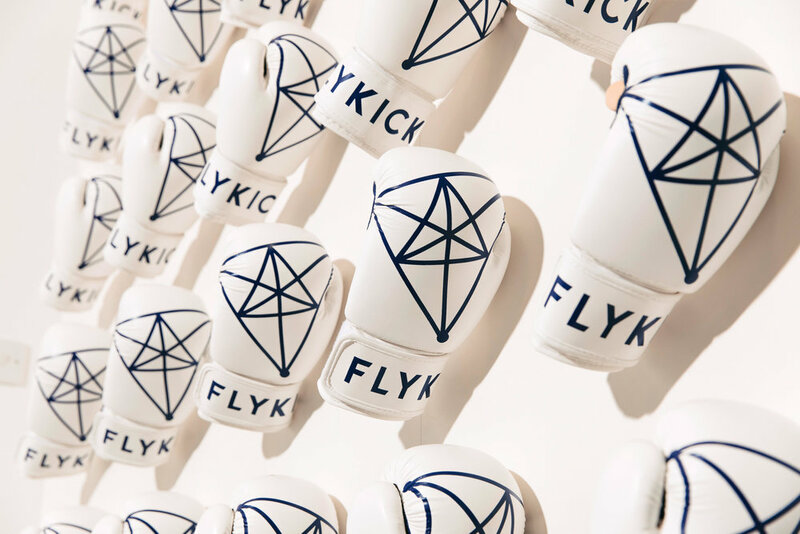 Head to the Buy Series page to create the perfect Flykick Gift. Got questions? Email elyse@flykick.co.uk to find out more. Copyright @2018 flykick.com. All rights reserved.